Debugging JSON web tokens just got a whole lot easier. Check it out! 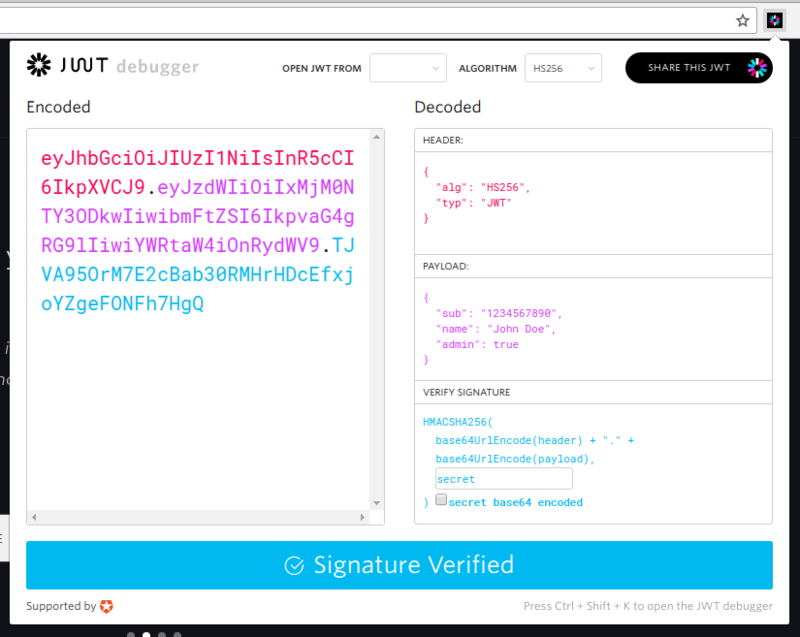 Do you find yourself visiting JWT.io a lot to debug your tokens? Then you'll love what we have in store for you: JWT.io as a Chrome extension with extra features! "Debug JWTs from your browser with our new extension: https://goo.gl/axNsXn"
We noticed many users rely on JWT.io to debug their JWTs. And, with good reason! 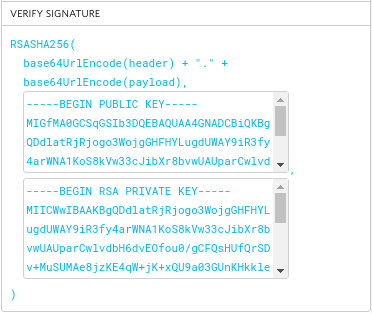 The colored visual editor is intuitive and has support for both HMAC and RSA signed JWTs. So we thought: what if we made this available offline for all users with a few extra features? And thus, our new Chrome extension was born. Try it out now and give us your feedback! Can you think of any other features you'd love to have? Tell us below in the comments or through Chrome's Web Store.